A tale as old as time… with a twist. By an edict of the King, the noble knight Sir Alric, newly returned from war, is sent into the mountains to rescue his lady-love from the clutches of a foul demon… but the vile dragon refuses to cooperate. 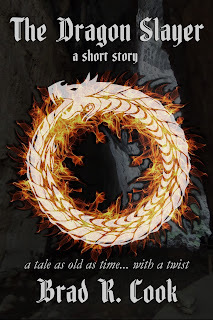 A new short story is available from Brad R. Cook, get the ebook today! This story placed in both the Archon Short Story Contest and the St. Louis Writers Guild Annual Writing Contest. As always, reviews are greatly appreciated. Thank you! Two black jaguars become the symbol of hope for a race facing extinction when they accompany a dying traveler back to her home planet. 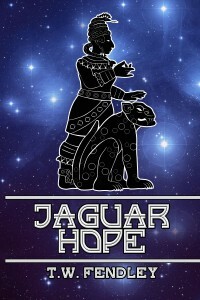 JAGUAR HOPE, a novelette, tells of the ill-fated journey to Earth’s Age of Crystal in this action-packed prequel to my historical fantasy novel, ZERO TIME. Your review would be greatly appreciated! This novelette was a tightly-written, fast-paced thrill ride. I’m not much of a short-story reader, and I never read them in one sitting, but this one I did. Jaguar Hope really is a book that you can’t put down (but for those of us with jobs and kids, the short length helps!) I read Zero Time, the novel set in the same universe, but it’s not necesarry to read the book first to enjoy the novelette. But if you read Jaguar Hope, you’ll probably want to read Zero Time! Enjoyed this book a lot. The humanimals were an interesting concept. The character names a bit difficult at first until you get into the story. JAGUAR HOPE is also available on Amazon in print and audiobook. Querying a publisher or literary agent is almost harder than writing a book. The St. Louis Writers Guild’s March 4 workshop will explore the process from start to finish--how to find agents and publishers, how to contact them, how to pitch to them…and just what is a log line? This free workshop will be held from 10 a.m. to noon at The Lodge Des Peres, 1050 Des Peres Rd, St. Louis, MO 63131. 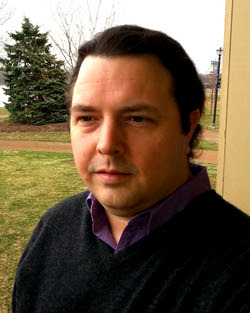 Leading the workshop is someone who has sat on both sides of the pitching table—author, blogger, and lecturer Brad R. Cook. Participants will learn what goes in a query letter and a face-to-face pitch, as well as explore tools to find agents and publishers online and at conferences. Upcoming conferences include the Missouri Writers Guild conference (May) in Columbia, and St. Louis Writers Guild’s Gateway Con (June) and Penned Con (September) in St. Louis. “I can’t guarantee you’ll find an agent, but you’ll have the tools to do so!” Brad said. Gateway to Publishing Conference & Convention or Gateway Con is a conference for writers and a convention for readers. St. Louis Writers Guild's new annual writers conference. The weekend long event will take place at the Renaissance Hotel in St. Louis, MO and feature multiple workshop tracks for writers, a book fair, and events for readers. Though St. Louis Writers Guild is presenting this writer’s conference, they are not the only group involved in the event. St. Louis Writers Guild has partnered with the St. Louis Press Club, St. Louis Publishers Association, Sisters in Crime Greater St. Louis Chapter, and Missouri Romance Writers of America will be holding workshops at Gateway Con. The Speakers appearing at Gateway Con are on the website, though the list is not complete. Between the literary agents, publishers, editors, and authors who will be appearing at both the writers track and reader events, Gateway Con will feature a large faculty. Expect the lit of speakers to grow in the next month. Plus Gateway Con will have a number of writer panels featuring a large number of authors adding even more people to the faculty. To name just a few of the authors who will be appearing at both the Writer's Conference and the Reader's Convention - Hugo, Nebula, and Arthur C. Clarke award winning author Ann Leckie, New York Times bestselling author Angie Fox, New York Times bestselling author Eileen Dryer, Midwest Book Award and Gold IPPY winning author Cynthia Graham. Writers! To register for the Writer's Conference please visit the registration page - Gateway Con Writer's Conference. The Writer's Conference at Gateway Con will feature, networking, critiques, Master Classes, workshops on a variety of writing and marketing topics, plus pitch sessions with literary agents and publishers. To learn everything available at Gateway Con please visit the website. A complete schedule will be posted before the conference. Authors! To register for the Author Hall and book fair at Gateway Con please visit the registration page - Gateway Con Author Hall. The Author Hall at Gateway Con is a book fair that is free for the public to attend. Tables are available for reservation. Authors can sell their books at a great book fair being held over the weekend. To learn more and get all your questions answered visit the website. Gateway to Publishing Conference & Convention is set to be a great weekend for writers and readers. A fun event unlike anything else. Check out what they are planning and if you're looking for a good conference and don't want to pay that big conference price, consider Gateway Con. 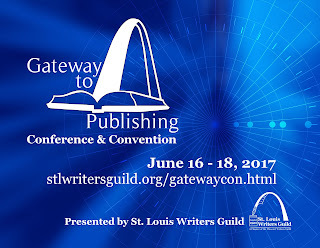 Visit the Gateway to Publishing Conference & Convention website for all the information about the event and to register for the Writer's Conference or the Author Hall. The Writers' Lens will be there and we'll let you know how it goes.